Railpictures.ca - Bill Hooper Photo: A westbound destined for UP interchange at Kingsgate makes a double over at the west end of Kipp Yard west of Lethbridge. | Railpictures.ca – Canadian Railway Photography – photographie ferroviaire Canadienne. 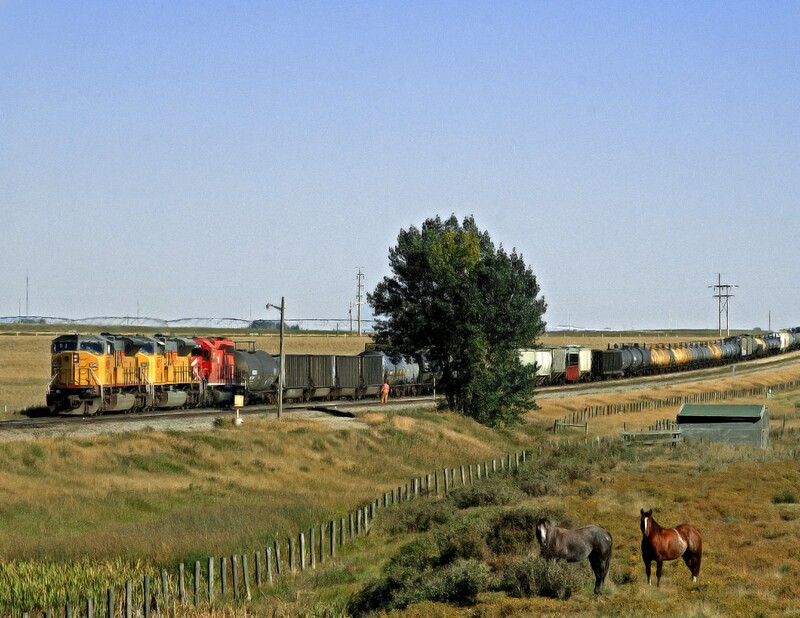 Caption: A westbound destined for UP interchange at Kingsgate makes a double over at the west end of Kipp Yard west of Lethbridge.